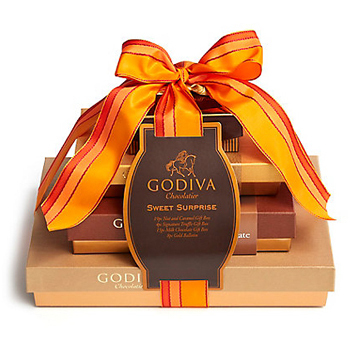 The nuts and bolts of this assortment are set to tower above the rest, with help from Godiva. Starting with a foundation built from a Nut & Caramel Assortment Gift Box (19 pcs.) and only adding to greatness with a smooth Milk Chocolate Gift Box (15 pcs. ), a stylistically varied Assorted Chocolate Gold Gift Box, and final flourish of distinctive Signature Chocolate Truffles (4 pcs. ), we declare this structure sound as can be. The Nuts and Toes assortment is truly a feat of confectionery engineering.